EAW016872 ENGLAND (1948). Marshall Richards Machine Company Works and South End Villas, Crook, from the north-east, 1948. This image was marked by Aerofilms Ltd for photo editing. 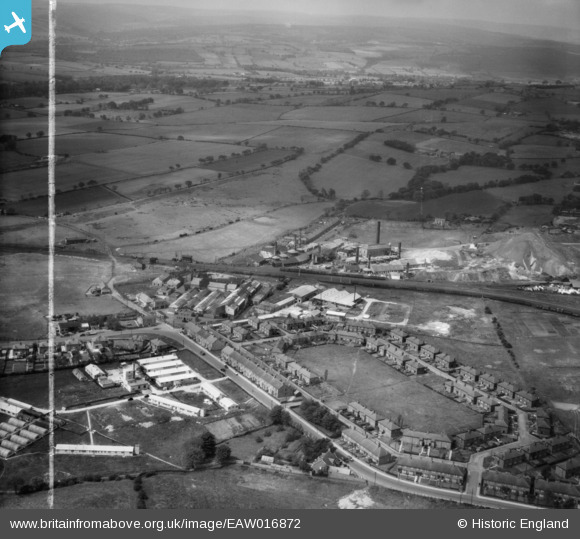 Pennawd [EAW016872] Marshall Richards Machine Company Works and South End Villas, Crook, from the north-east, 1948. This image was marked by Aerofilms Ltd for photo editing. Marshall Richards Machine Co. I served my apprenticeship here from 1968 to 1972. Thistleflat signal box, Darlington to Tow Law railway. Pickford and Holland refractory brick works.